The New Year is close and I mean really close. 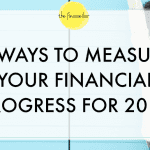 With so many competing priorities at this time of year between the holidays, finalizing end of year doctors appointments, shopping, and checking in on our finances, it can be really challenging to identify what we should focus on. Most importantly, keep it simple. Where are you on the money mindset meter? On a scale from 1-10 with 10 being you despise thinking about your finances and the work that goes into making a positive financial shift in your life. Our money mindset is 80% of our financial success. If we are constantly saying to ourselves that we never have enough money, or we don’t earn enough, or we “need” to handle our money better, chances are those are the exact results that we’ll get. Oftentimes, our money mindset is reflective of the thoughts that our parents or friends have. 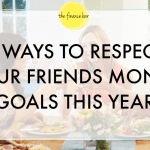 Consider how many times you have associated what you need to do with what your friends do. As an example: “My friends and I need to save more money OR my parents never taught me about money.” While these may be thoughts that continuously play in our heads, they are not ours to own or follow. Work on developing or enhancing a positive money mindset before the new year. If we’re all being honest with ourselves, how far has complaining about money gotten us? Collect yourself, reflect back on where you’ve taken a few wrong financial turns in the past and be encouraged by the possibilities of making adjustments. 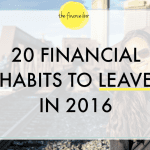 Create a list of 2-3 finance goals that you would like to accomplish in the coming year. This will serve as your working list which helps tremendously in avoiding distractions. While this may seem obvious, consider the moments when you may have scrolled through social media and saw someone discussing paying off debt in their posts or buying a house and your thoughts immediately shifted to, “That’s what I should be doing.” Remember that each of our financial goals are different. Avoid comparing where you are or desire to be with the journey of others. Your race, your pace. Grab your sheet here to begin listing out your money goals for 2019. …and any other documents that you deem important. Completing this exercise not only helps you, but it also helps in the case of emergencies so that others are privy to your finance toolkit. Find someone that you trust to have access to your file. The easiest way to do this is to mirror who you may have as your emergency contact at work or otherwise. Take time at the end of this year to set your financial intentions for next year. I encourage you to start now.